After the Candie’s fashion show last Saturday, I attended the last show for the day sponsored by Sony Vaio. 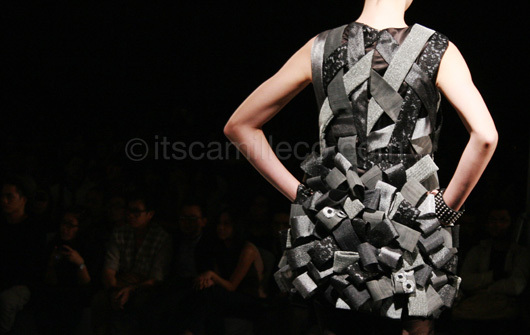 The show was divided into 2 segments, namely Design Fusion and Vision & Trends. Design Fusion featured the works of Bo Parcon, Don Protasio, Russel Villafuerte, Veejay Floresca and Xernan Ortico, while Vision & Trends featured the works of Aries Lagat, Enrico Carado, Happy Andrada, Jaki Peñalosa, Jan Garcia, Kenneth Chua, Regine Dulay, and Oz Go. The show started with models dressed in leotards and plain suits, showing off the latest from Sony Vaio. From this point on, my camera had already been revived. Yay! Xernan Ortico. Love the necklace! Xernan Ortico’s collection was very clean and sleek. It’s one of my favorites too. Aries Lagat. As always, amazing workmanship. 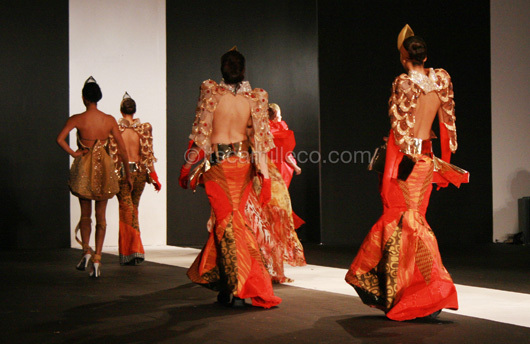 Enrico Carado’s collection, like his previous ones, look like art. 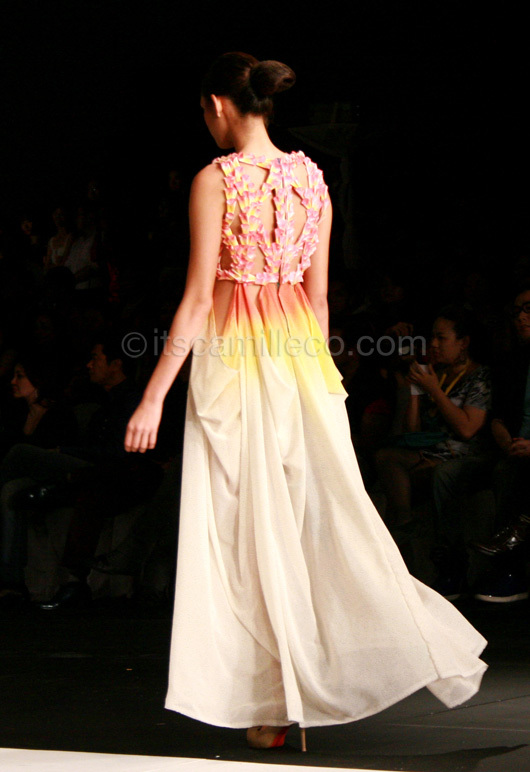 His fabric treatment and coloring are always to die for, which is why his collection is also a favorite of mine. Happy Andrada’s collection looked 3D! Happy Andrada. I want these leggings. 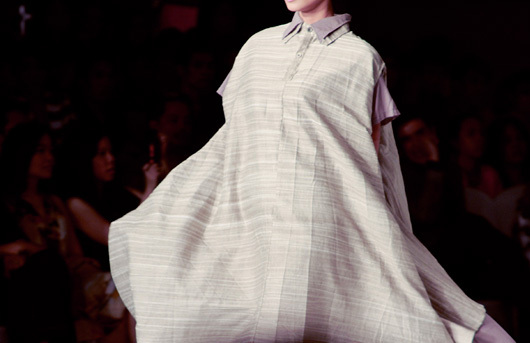 Fabric manipulation was key to Happy Andrada’s collection. Kenneth Chua. I especially love his Lego accessories. 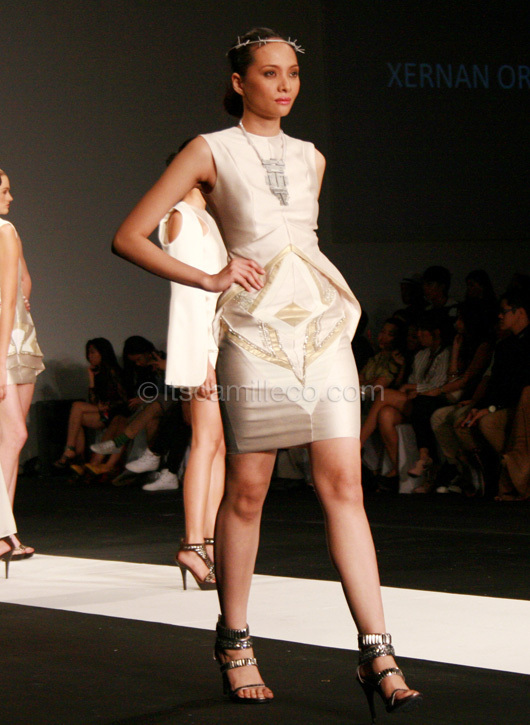 Regine Dulay’s collection seems simple but if you look closely, her pieces have a lot of intricate details. I was browsing all of your old posts and I saw this. My sister’s on the 1st pic. But it’s too small. Hehe. I’ve watched this show as well hihi.